Ever since Yasiel Puig debuted in 2013, he has captured the attention of baseball. Sure, he’s had his ups and downs, but one cannot deny the entertainment value with Puig is off the charts. What is also true is the fact it’s hard to see him donning any other jersey than a No. 66 Dodger one. The current front office has tried to move him before — at his lowest point — with no success. They have been rumored to have offered him in trades for Jackie Bradley Jr., Ryan Braun, Zach Britton and Bryce Harper, though some of those may have been more for money reasons rather than performance. And now, his name has come up in connection with the trio of Cleveland starters who might be available — Trevor Bauer, Carlos Carrasco and Corey Kluber. I wrote about the Puig-Kluber rumor last week and how it didn’t make a ton of sense on the surface. Puig is projected to make north of $11 million via arbitration — his final year of team control. 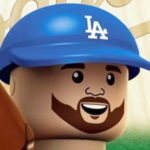 The Dodgers have a current outfield logjam — Enrique Hernandez, Matt Kemp, Joc Pederson, Chris Taylor, Andrew Toles, Alex Verdugo — with only Kemp joining Puig as a free agent next winter. Hernandez and Taylor are versatile and not strictly outfielders, so that leaves Pederson, Toles and Verdugo to go along with Kemp and Puig. It’s a strong depth chart, and you can see why the Dodgers would want to trade an outfielder. I’m just not sure it should be Puig. For starters, Puig owns the two most iconic moments of the Dodgers’ most recent postseason run. Yeah, Max Muncy‘s walk-off home run in that marathon 18-inning affair in Game 3 was great, but it didn’t feel as dramatic as Puig’s homer in Game 4 that, ironically, is basically forgotten because the Dodgers blew the lead and effectively lost the series that night. As of now, not only is Puig a quality player and among the best right fielders in the game, he’s the face of the Dodgers. Even with Clayton Kershaw and Justin Turner, the first player people most likely think about when they think Dodgers is Puig. Baseball business-wise, it makes sense to move him (especially if they don’t plan on retaining him beyond the 2019 season). Marketing-wise, it might not be as smart. Of course, if we know one thing, this front office doesn’t operate on feel nor does it really concern itself with market. That’s fine. But here’s a twist: I would even argue that not only should they keep Puig for 2019, they should explore a long-term extension with him. He’s heading into his age-28 season and still has plenty of quality, prime years remaining. I’d have no problem if the Dodgers locked him up for an additional 4-5 years. I’m not sure that’s a top priority for this offseason, but it’d be a comforting move. The Dodgers do have to find a place to play Verdugo, as I wrote about over at True Blue LA last month. But that probably shouldn’t come at the expense of Puig. Now, if Cleveland is demanding Puig in a deal for Kluber, then he’s likely good as gone. But if they want someone more controllable, perhaps Pederson can substitute as the young MLB veteran in that kind of deal. We’ll see what happens. 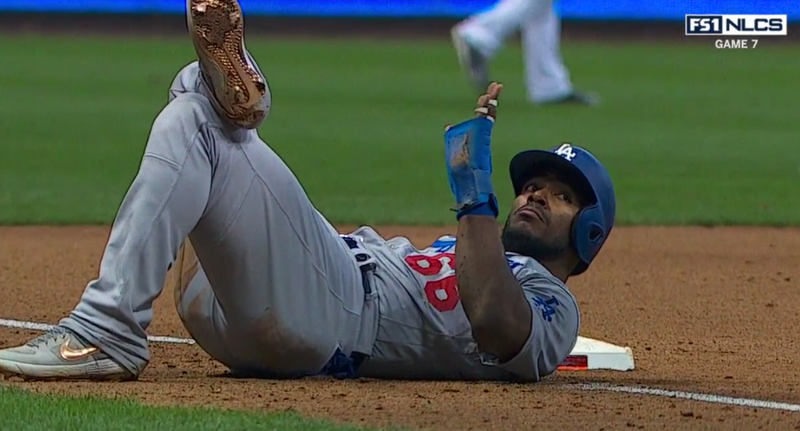 The fact that we’re still talking about trade rumors involving Puig for going on four years now is a bit exhausting. He has turned around his reputation after rough 2015 and 2016 seasons. He’s still a character rivaled by no one. And he is still a Los Angeles Dodger. That shouldn’t change.